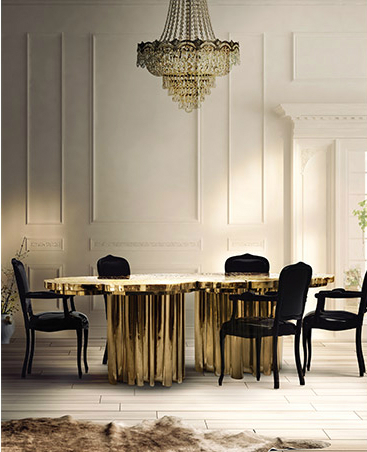 The Fortuna Dining Table is a shimmering statement piece that unites Boca do Lobo's one of a kind design aesthetic and passion for Gold. 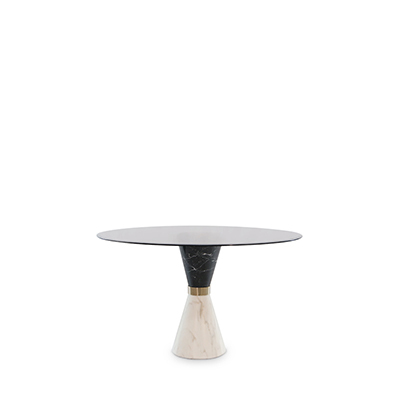 Representing the essence of empowerment, sophistication, mystics, and enticement, the Fortuna features a one of a kind design, with a unique table surface texture and incredible finish. See More here. 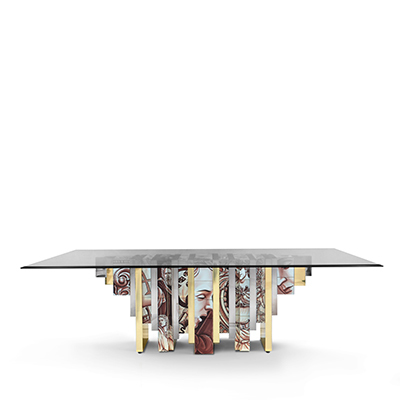 Hand-painted 1920s-style wallpaper by Fromental depicting sparrows perched in a gnarled cherry contrast with the masculine furnishings. Extreme simplicity, contemporary aesthetic and seductive power: these are the characteristics reflected in each detail that make the Bonsai love at first sight. 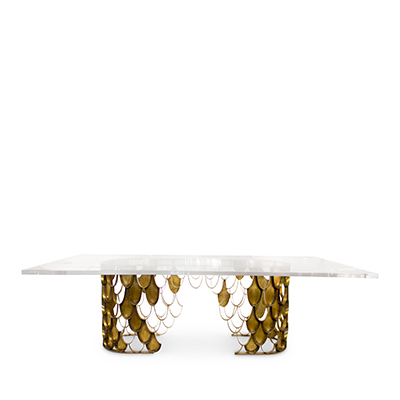 Relating to Boca do Lobo’s approach to re-adapting traditional furniture styles, and inseparably combined with innovative processes, the Bonsai Dining table boasts bold lines and character in a fantastic blend of styles and material finishes. See More Here. 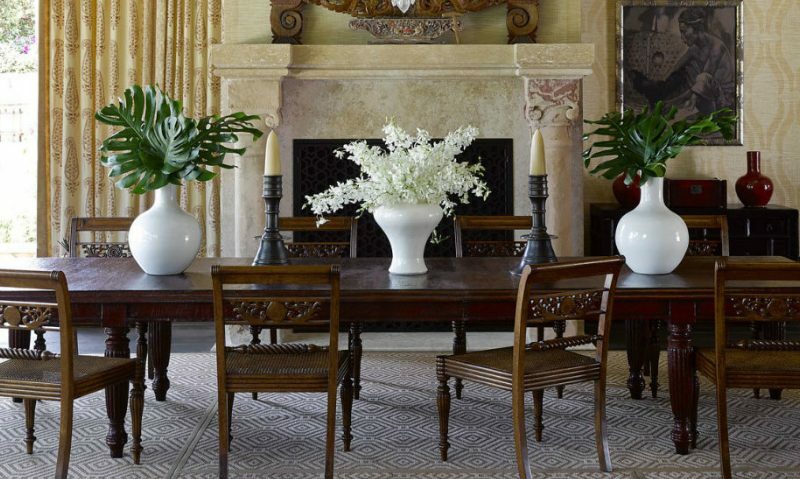 The George Nakashima chairs in this dining room designed by Joe D'Ursoprove that sometimes the strongest statments are in the details. 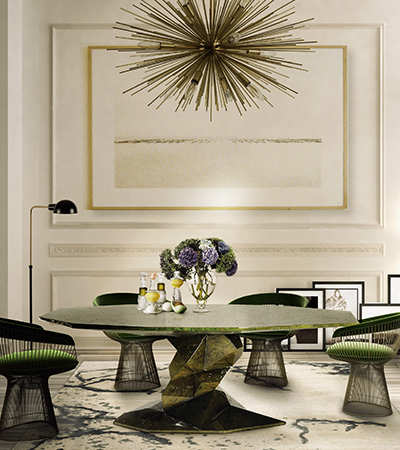 These gorgeous dining rooms will deliver bold design inspiration. 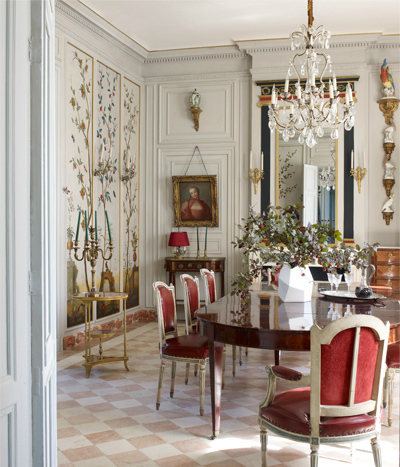 5 – The patterns of the custom wallpaper and rug create dramatic tension in Jean-Louis Deniot’s dining room. 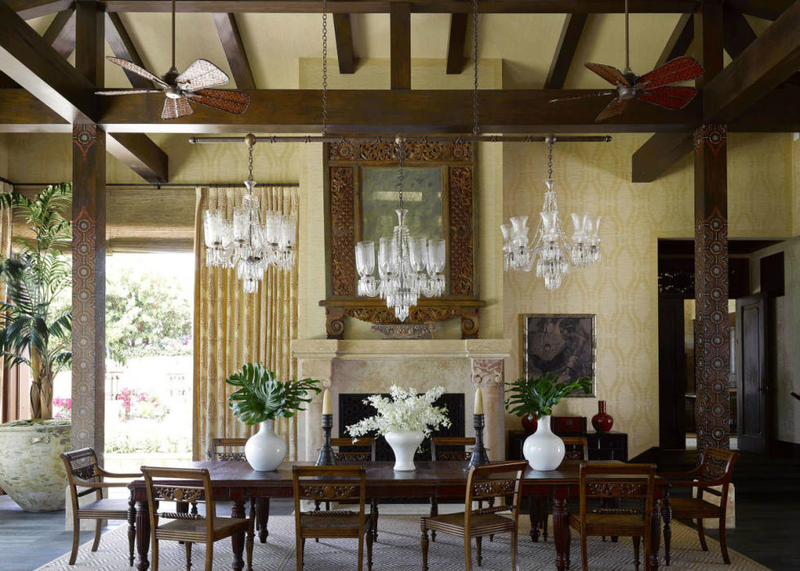 6 – 19th century Dining rooms – Three 19th-century Bavarian chandeliers are better than one in this Southern California home designed by Martyn Lawrence Bullard. 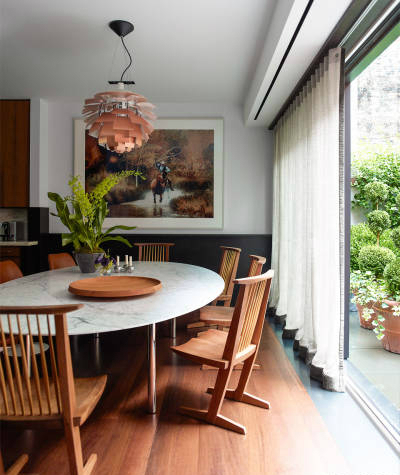 10 – STUNNING FURNITURE – The George Nakashima chairs in this dining room designed by Joe D’Ursoprove that sometimes the strongest statments are in the details. 13 – Lacquered Walls – To attain this high-shine effect, the walls of Jackie Astier’s Manhattan apartment were painted with 10 coats of custom lacquer. 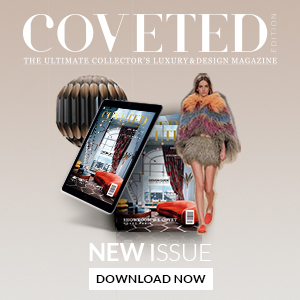 16 – Graphic Patterns – Matthew Patrick Smyth makes a strong statement with wallpapers by Schumacher. 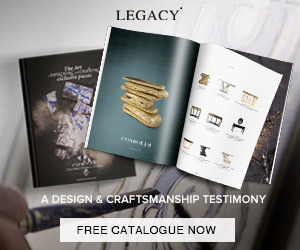 17 – IMPRESSIVE ANTIQUES – The grand dining room of a manor house in the Bordeaux wine region features 18th-century painted chinoiserie panels, an antique mahogany table, and gilded-bronze candelabras.